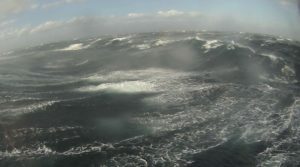 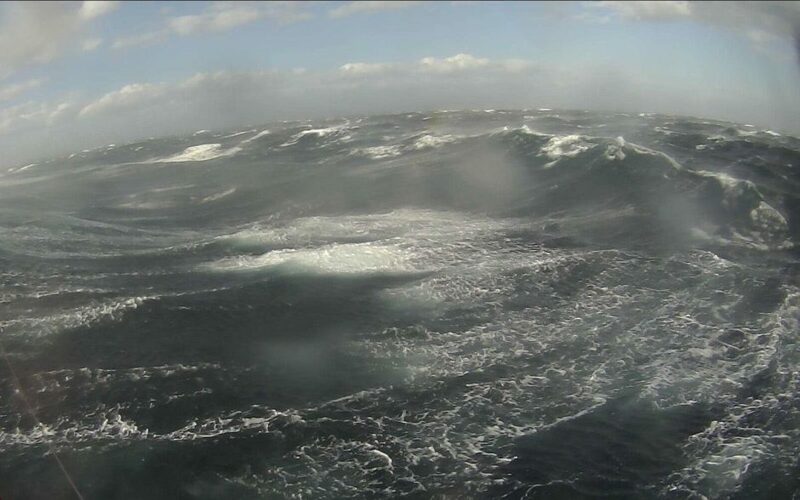 amid high winds & high waves. 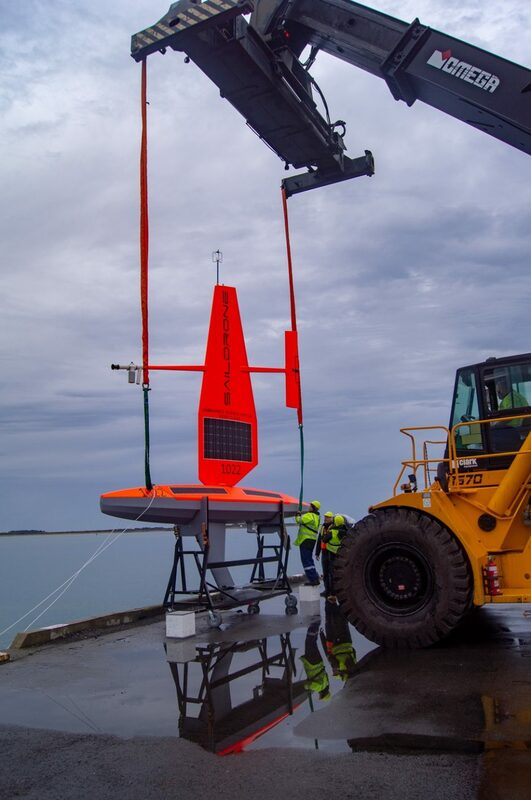 Real-time Data for next-gen ocean research. 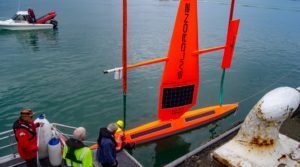 (Hong Kong, 22 January 2019) The Li Ka Shing Foundation has announced a US$1 million sponsorship of an Antarctic Circumnavigation project by Saildrone, a US-based company specializing in ocean and atmospheric data. 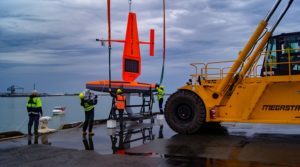 Two Saildrone Unmanned Surface Vehicles (USVs) safely set off from Bluff, New Zealand on a 270-day scientific voyage: the first ever autonomous circumnavigation of Antarctica. 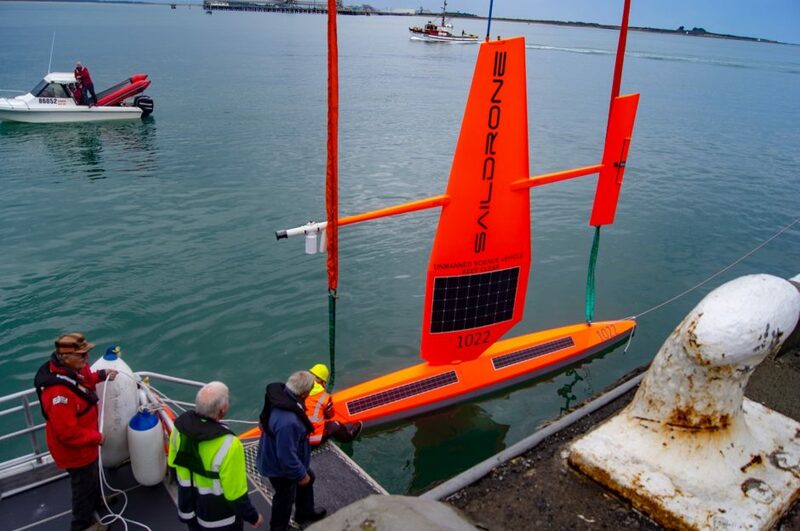 Powered by wind and solar energy and equipped with an array of 16 scientific instruments to monitor ocean and atmospheric conditions, the two Saildrones will present an unprecedented opportunity to learn about remote marine environments, delivering data directly to classrooms around the globe. 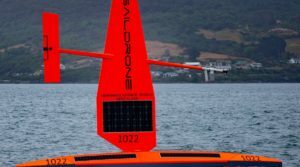 Hong Kong students will also have the opportunity to participate in an online STEM curriculum and two contests to win a trip to San Francisco, to visit Saildrone and other innovative tech companies. 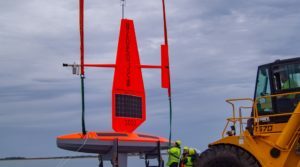 2 Saildrone USVs will collect real time data about Antarctica’s diverse ecosystem and will be shared on the project website www.saildrone.com/antarctica. 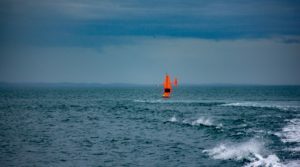 Students can go online to study lesson plans, read the mission updates and weekly blogs by scientific experts. 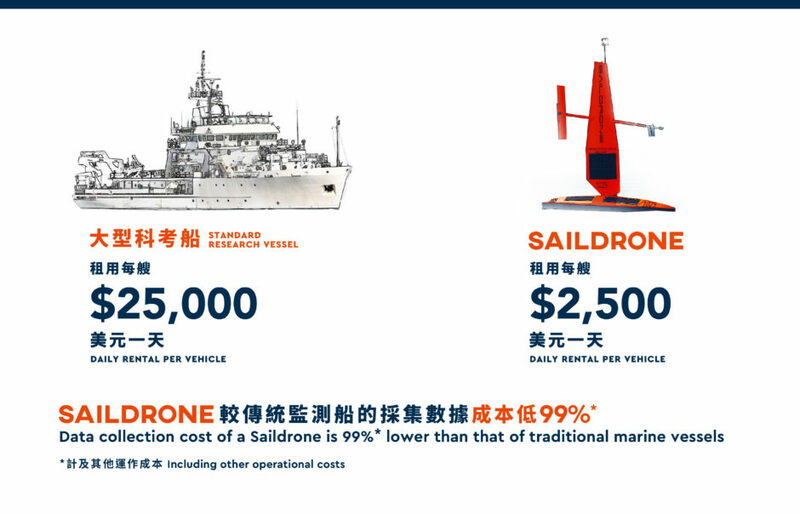 Hong Kong winners will be invited to visit Saildrone headquarters and other innovative tech Start-ups in the United States. 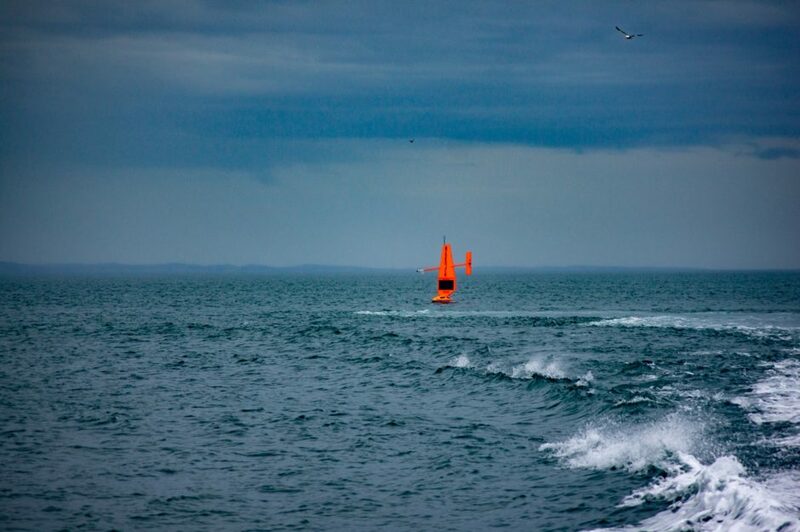 70% of the Earth is covered by water but the cost of relying on traditional methods to capture marine data is high. 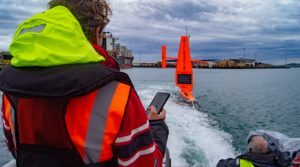 The world’s oceans are experiencing significant change, which will have a profound impact on ecosystems, marine life and climate. 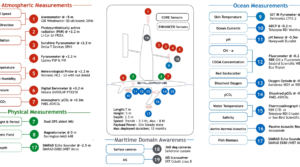 The areas where some of the biggest changes are occurring are also some of the least measured and understood. 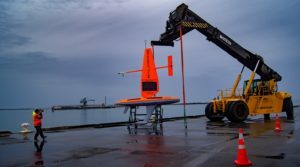 This is largely due to their remote location and/or harsh environment, where the cost of deploying sensors via traditional ship-based methods is very high. 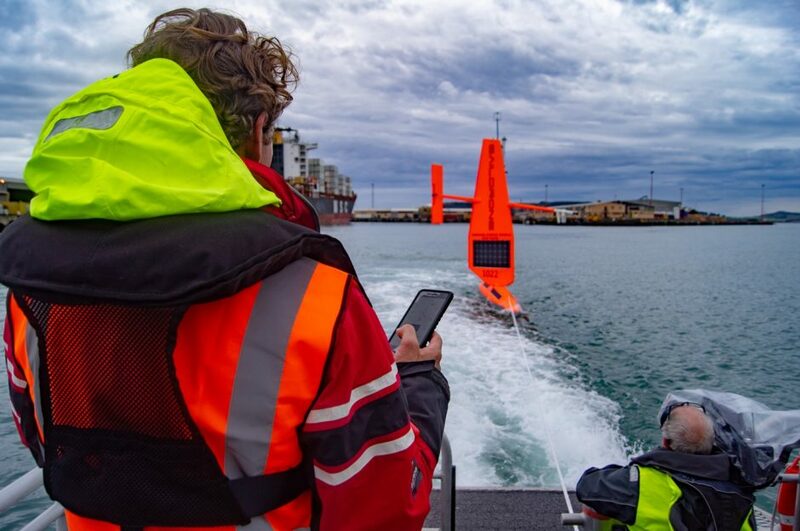 Marine data is used in a wide range of applications, including research in marine science, marine health and biodiversity, global climate change, marine pollution and human health, marine disasters and maritime security. 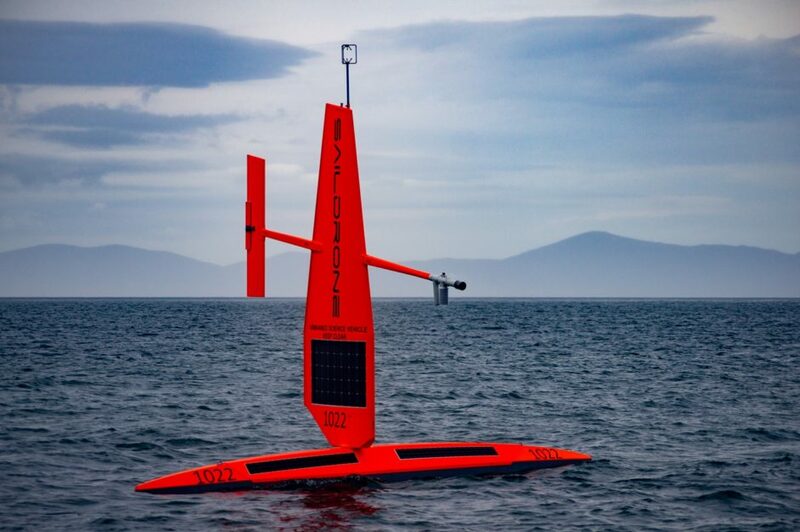 Saildrone is a US-based company that designs, manufactures and operates, a global fleet of wind and solar powered ocean drones, providing in-situ data collection services, global ocean data sets and enhanced weather forecast applications. 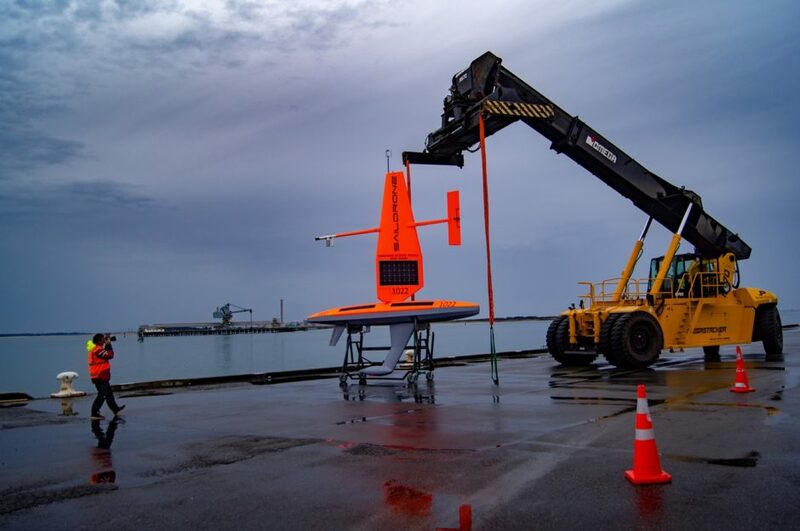 A saildrone is an unmanned surface vehicle (USV) that combines wind-powered propulsion technology and solar-powered meteorological and oceanographic sensors to perform autonomous long-range data collection missions in the harshest ocean environments. 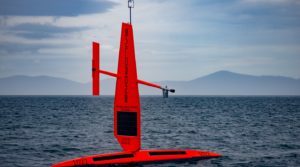 A saildrone is 7 meters in length with a height of 2.5 meters. 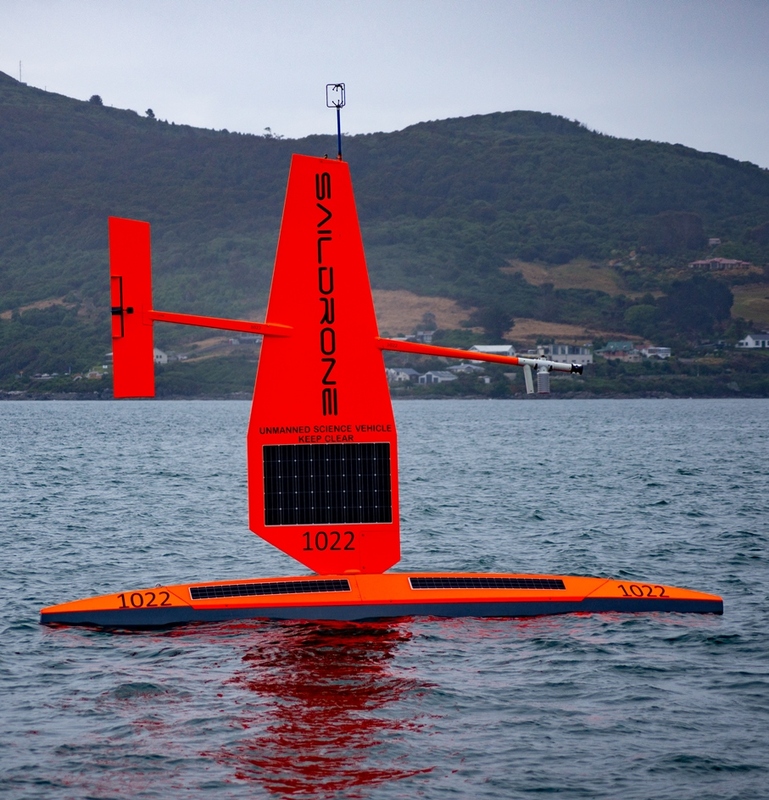 Saildrone USVs are equipped with 16 scientific sensors that measure key atmospheric and oceanographic environmental variables such as wind speed, radiation; physical measurements such as wave height, magnetic fields and ocean measurements such as ocean currents, pH, fish biomass, marine mammal acoustics etc. 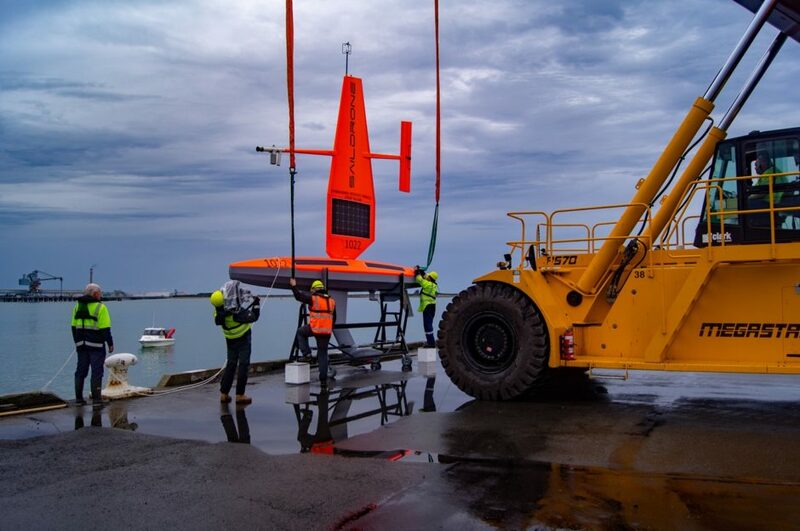 The sensors are connected to onboard computers that transmit the data via satellite communications to shore-based data centres. 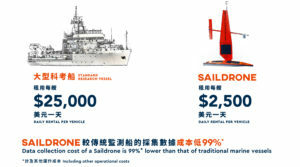 Established in 1980, the Li Ka Shing Foundation (LKSF) has invested over HK$21.8 billion to work on education, medical services and research initiatives globally. 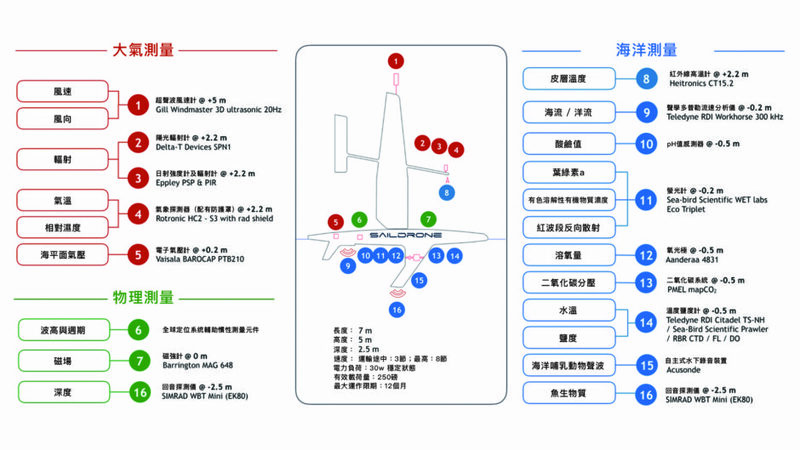 In 2006, Mr Li described his philanthropic effort as akin to having another son in the family. 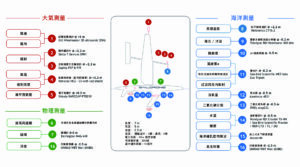 He called for a paradigm shift in our Asian culture of giving, through apportioning more of our wealth and means towards social capital so that we could bring forth great hope and promises for the future.